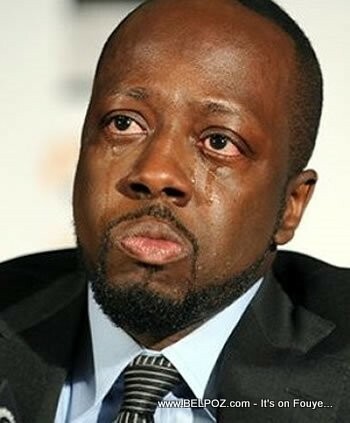 "Wyclef Jean's former lawyers have filed a six-figure legal judgment against the musician after he failed to make agreed-upon payments to reduce his debt, according to court filings that include a recent e-mail from Jean's business manager claiming that his client was broke. "there ain't no money," Jean's accountant declared in a terse January e-mail to his creditors. Other records show that federal and state authorities have, since mid-2012, hit the performer with nearly $2.9 million in tax liens (which remain outstanding). Read more..."
He was a leader and brought a lot of Haitian pride to Haitians and Haitian- Americans. Wyclef is the best! A person with talent can't be ever broke, he is a rich Guy And he will always be. Ou guin connaissance, potentiel, intelligence se ou ki te travay fe l'agent. Prend crayon ou ti fre réfléchi et mette ou au travail. He is a great guy and does a lot for the people in Haiti.They tried to forget the good things and jugde him, and only on e thing. Haitian people have to open their eyes, not what they say about him, but what you see him doing for his country. Trust in God, He is able.